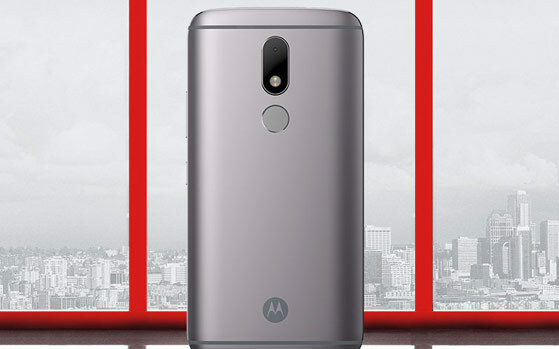 After silver and gold colour options, Moto M is now available in its third colour option, Grey. The phone was introduced in the Indian market in December 2016 with two color options and the company announced last Friday that it will be introducing the third variant. Moto M is the first phone from the company to feature an all-metal body. The Moto M is powered by a 2.2GHz Quad core MediaTek Helio P15 processor. This is further coupled to either a 3GB or 4GB RAM and 32GB or 64GB internal storage. The storage can be further increased up to 128GB via microSD. Further, it has a 5.5-inch IPS display with 2.5D curved glass and full-HD (1920 X 1080 pixels) resolution. Moto M features a 16-megapixel rear camera with Phase-Detection Autofocus (PDAF), and an 8-megapixel front camera. Connectivity options include WiFi 802.11 ac, Bluetooth 4.1, GPS and 4G VoLTE. The overall dimensions of the phone measure 151.35 mm X 75.35 mm X 7.85 mm and weighs 163 grams. The device is powered by a 3050mAh battery and comes with fingerprint sensor and Dolby Atmos support. The Moto M 3GB RAM and 32GB storage variant is priced at Rs 15,999 while the 4GB and 64GB internal storage can be purchased at Rs 17,999. However, with an exchange, even iPhone 6 won’t get you a full Rs 15000 exchange bonus. So, if you were waiting for this colour then now you can have it from Flipkart.